As the winter air lingers, ensuring that your home’s heating system functions properly is essential. But just because the system has worked efficiently in years past, it doesn’t mean that you’ll be met with the same warm comfort this year. This is particularly true of systems that have not been serviced by professional HVAC technicians for bi-annual maintenance, timely system replacement, or necessary heating repairs. Bloomington Heating & Air details some of the most common reasons why your heater may not run as efficiently as it did in previous years. Digital or analog, a malfunctioning thermostat can cause the unit to work improperly. Wiring errors or network disruptions can create a lapse in communication between the thermostat and HVAC unit. When a lapse occurs, the unit will cycle abnormally and cause spotty or no heating at all. 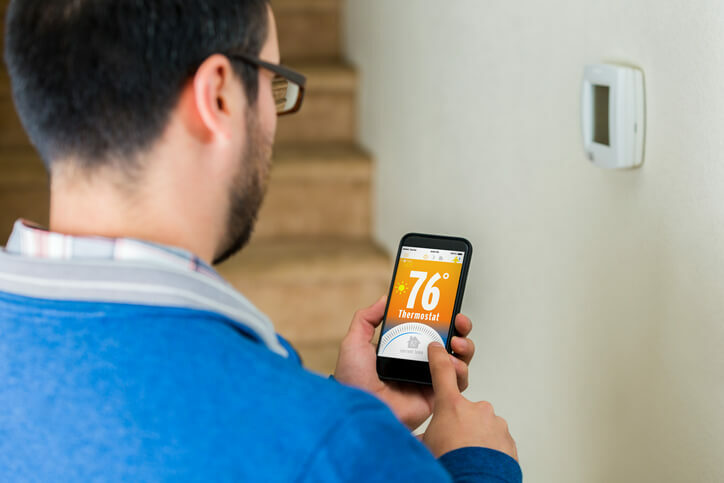 Planned HVAC maintenance is the perfect occasion to install a new thermostat for more precise readings and more effective heating in your home. Forgetting to change the filter can significantly reduce your heater’s functionality or even cause it to not function and require heating repairs. Filters work to mitigate airborne allergens, such as dust and other debris, from being dispersed into the air. They also regulate air flow and block dust and dirt from interfering with the unit’s inner functioning components. To ensure your heating system functions optimally, be sure to change filters every two to three months during heavy-use seasons. You may need to replace the filter more frequently if you have indoor pets. Contact Bloomington Heating & Air with questions about your system or to speak with one of our expert technicians. When the unit turns on, you can expect to hear some minimal noise, such as the humming of a fan belt. Unusually loud noises, on the other hand, often give cause for concern. If it’s loud noises consistent with banging, the furnace’s pilot light is likely out. In contrast, if an electric furnace produces a rattling noise, the engine component may be loose and bouncing around in the furnace. A growing family or additions made to the home can impact the performance of a heating system. While a specific-sized heating system may have worked well in a smaller home, larger homes that feature more square footage may require a larger unit to adequately heat and maintain warmth in the entire home. Bloomington Heating & Air is your first call for guidance when choosing a new heating system. We offer a variety of premier HVAC units and gas furnaces from which to choose from. Every HVAC system requires planned maintenance at least twice each year for proper function. Technicians typically find that clogged air filters, faulty thermostats, and leaky ductwork cause a significant proportion of malfunctions or failures. Scheduling planned HVAC maintenance is the most effective way to ensure you’re kept comfortable all year long. What’s more, with scheduled maintenance you can avoid unexpected system breakdowns, save on utility costs, protect your system’s warranty, extend the system’s functional life, and ensure the home is safely heated on your terms!